An adventure motorcycle needs to be able to ride through water when the opportunity arises. 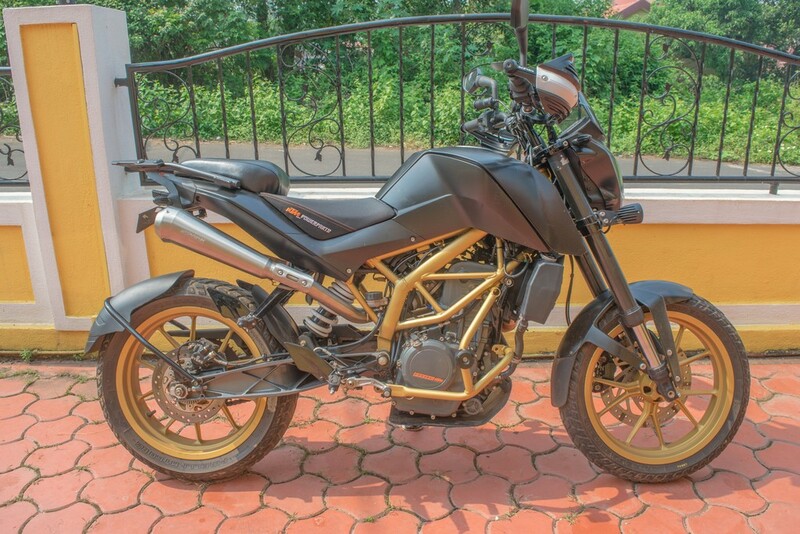 My Duke 390 does that without a fuss when I take the motorcycle on trail rides. I can even leave the bike standing in water with the ignition turned off for a while. It will start back up without a hitch while in the water itself. 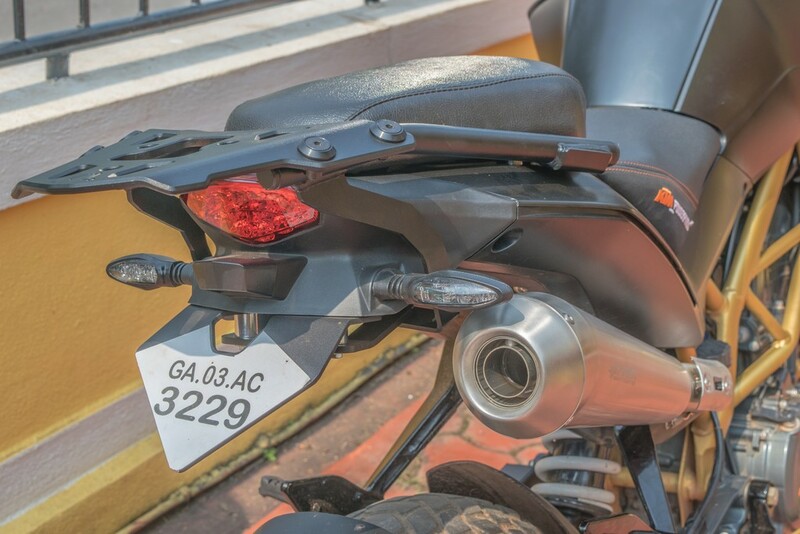 However, since the Duke has an underbelly exhaust, the water level needs to be below the high bend of the exhaust pipe. I have ridden the Duke through water levels above the high bend. But I had to ensure that the engine was kept running so that the exhaust gases forcing their way out prevented the water from entering into the engine and killing it. Here is a video of one such water crossing. So far I’ve been lucky to have the engine running while wading through deep water. But one of these days my luck is probably going to run out and I’ll end up with a engine filled with water. Before that can happen I decided to do something about it. 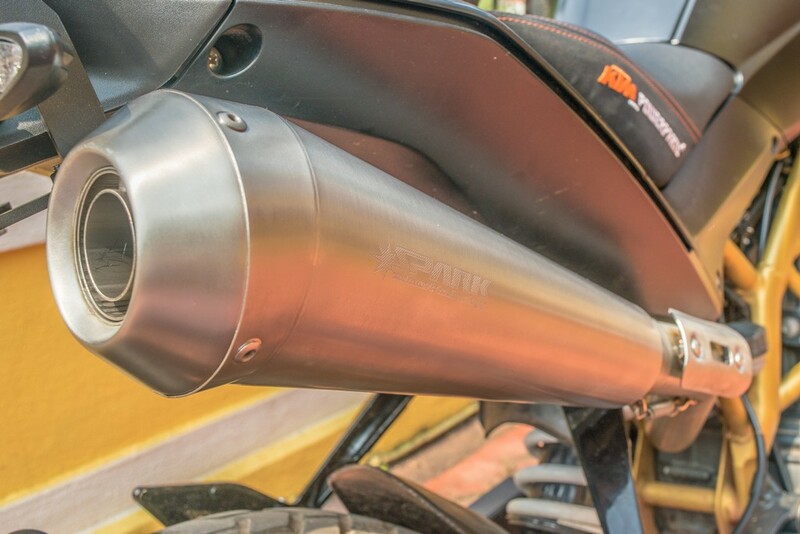 I started searching for a raised exhaust which would let me stand the bike in water at levels higher than the high bend of the exhaust pipe. 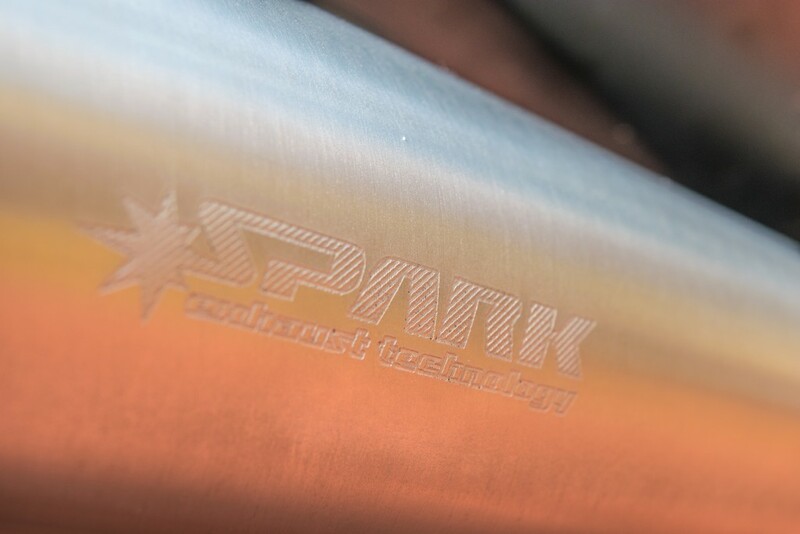 The Italian made stainless steel Spark Exhaust (GP style mounting) seemed like it would solve my problem and I decided to buy it.